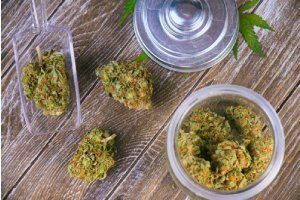 Whether you are a medical marijuana enthusiast, an entrepreneur, or a combination of the two, the question of how to open a marijuana dispensary has likely crossed your mind. With the majority of Americans supporting legalization and new research surfacing daily about the benefits of marijuana use, this is the best time to break into the industry. Initially, the thought of opening a marijuana dispensary may be intimidating, and for good reason. A dispensary is still a business and comes with the same financial risks as any other company. When considering how to open a marijuana dispensary, there are several important factors to pay close attention to. The location of your dispensary is critical for several reasons, and each can make or break your business. Your goal should be to find the place that will provide you with the best customer base for the lowest rental costs. 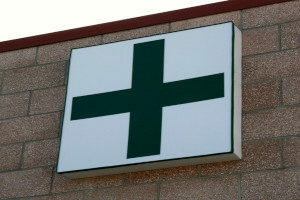 Ideally, your dispensary should be located in an area that is easily accessible to your target clientele. Your storefront or sign should be visible from a main roadway and your establishment should have adequate parking for your customers. In many of the states that have legalized marijuana, there are strict transportation restrictions. To make the process of transporting your product to your dispensary as painless and safe as possible, look for a location that is relatively close to your supplier. If you are growing your own marijuana to sell, it is critical that you pick an environment where your plants will thrive. If you are growing your plants outdoors, there should be adequate nutrients in the soil, an equal daylight to darkness ratio (or at least eight hours of darkness, depending on the strain you choose to grow), relatively frequent precipitation, and humidity levels ranging between 40% and 60%. If you choose to grow your plants indoors, you will need to ensure that you have enough space to build a greenhouse or choose a building with sufficient room to accommodate your operation. Different states have different regulations for marijuana sales and consumption. Violating these regulations may result in significant penalties that would be harmful to your business and potentially land you and your associates in significant legal trouble. For example, the state of California has legalized cannabis for medicinal and recreational use, but all aspects of its use are still highly regulated. The Medicinal and Adult-Use Cannabis Regulation and Safety Act (MAUCRSA) details protocol for licensing cultivation sites, distributing, packaging, quality assurance, transport, testing, and advertising marijuana in the state of California. However, there are additional regulations from the Bureau of Cannabis Control, the California Department of Food and Agriculture, and the California Department of Public Health that also need to be taken into consideration. Opening a marijuana dispensary is the same as opening any other type of business. There are inherent risks that must be taken into account, and it is essential to take steps to protect your assets from these risks. Growing marijuana indoors is the quickest way to generate product, but for the health of the plants, conditions must be just right. To perfect the conditions, many growers invest in grow lights, oscillating fans, watering systems, carbon filters, and grow tents. If one of these elements, especially the grow lights, were to malfunction, you could be looking at a large financial loss if the situation is not remedied quickly. Luckily, the equipment breakdown component of a cannabis insurance plan will cover any light malfunctions and your equipment will be replaced in a timely manner. To move your cannabis operation inside, there should be high levels of humidity and between 8 to 12 hours of darkness. While these conditions are ideal for growing marijuana, they are also ideal for growing mold and damaging wooden floors and beams. In the event that your perfect growing environment becomes hazardous and/or damaged, cannabis insurance will restore your grow room while keeping your plants under ideal conditions. Different strains of cannabis can affect people in different ways. In the event that one of your clients suffers an adverse reaction to your product, your company is at a high risk of a financial loss or a revocation of your growing and selling licenses if you are not protected by cannabis insurance. 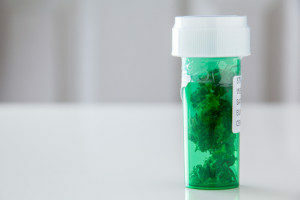 Since the cannabis sales industry is newly legal and medical marijuana is used to treat a wide variety of serious and chronic conditions, new complications are likely to develop as the industry expands. Cannabis insurance will keep your company protected if your clients encounter any unforeseen issues. Now that you have some important things to keep in mind when considering how to open a marijuana dispensary, it is time to make sure that you have your bases covered in the event of any mishaps. To speak with a cannabis insurance broker and find a plan that meets your needs and the needs of your business, contact MFE Insurance today. Previous Post: « What Is D.I.C.E. Annual Film Production Insurance?